Ultrasound Therapy Lexington: How Does It Work? 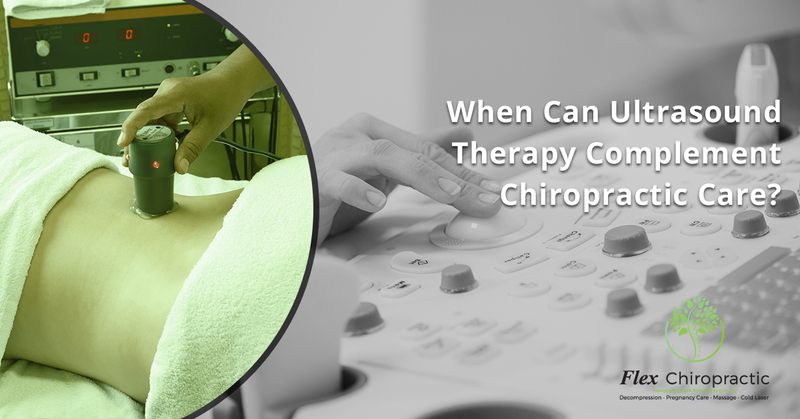 When Can Ultrasound Therapy Complement Chiropractic Care? If you’ve been wondering about the benefits of ultrasound therapy, you’re not alone. People are always asking about the ways in which this type of therapy can work together with chiropractic care in order to reduce pain and inflammation within the body. Let’s take a look at how it works and if it might be for you. Here’s the theory of how ultrasound therapy works. As the sound waves pass through the body they vibrate cells, namely cells that contain collagen. As you probably know, when something vibrates it tends to heat up. This heat not also gives a therapeutic (pain reduction) effect, but it also draws more blood flow to the area. With more blood comes more oxygen and the healing properties that come along with increased circulation. Ultrasound is also thought to stimulate collagen production in the body, which is a primary protein component of soft tissues such tendons and ligaments. What Injuries Is It Good For? Ultrasound therapy can be used for a wide variety of soft-tissue problems, including ligaments and discs. It’s most often used on backs, arms, and legs, and is used to treat injuries in athletes’ limbs. You’re probably familiar with the idea of ultrasound machines that give an image of children in the womb. Those machines have both a transducer and a receiver in the head, allowing the waves to bounce back and produce an image. Ultrasound therapy machines do not have the receiver portion in the head, and the sound waves are at a different frequency. A conduction jelly is put on the area of the body in question in order to form an airtight seal against the skin, ensuring the best transference of waves from the transducer into the body. The length of the waves can be changed depending on how deep (i.e. the amount of tissue it has to penetrate before it gets to the damaged tissue) the problem at hand is. Not at all. In fact, you won’t be able to feel the sound waves internally at all. At most you’ll feel a slightly warm area at the point where the conduction wand is rubbing against your back, as well as the stickiness of the lubrication jelly. The wand is there to deliver the soundwaves, not to massage your back (or other parts of the body). Most people enjoy it because it gives them a chance to lay down and relax without having to move. Absolutely. There’s no ionizing radiation given off by ultrasounds as there is from other types of medical imaging. No x-rays, no CT waves, and absolutely nothing to worry about as you get ultrasound therapy. Need further proof that ultrasounds are safe? They’ve been used hundreds of millions of times to check unborn children without a single instance of anything going wrong. Is Ultrasound Therapy Right For You? Ultrasound therapy has many uses, so don’t be surprised if your chiropractor suggests using it in addition to traditional chiropractic care if you have an injury. If you’d like to give it a try, call our chiropractic clinics in Columbia or Lexington today!